City Council meets on 1st and 3rd Tuesdays at 5:30 p.m. in the City Hall Council Chambers. 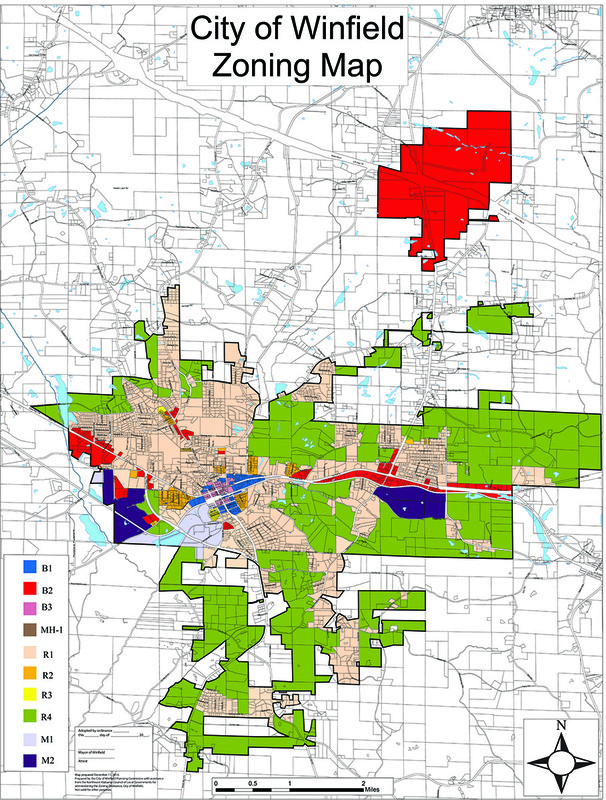 Zoning Map Available Here. Click to view the map or download a copy to your computer. 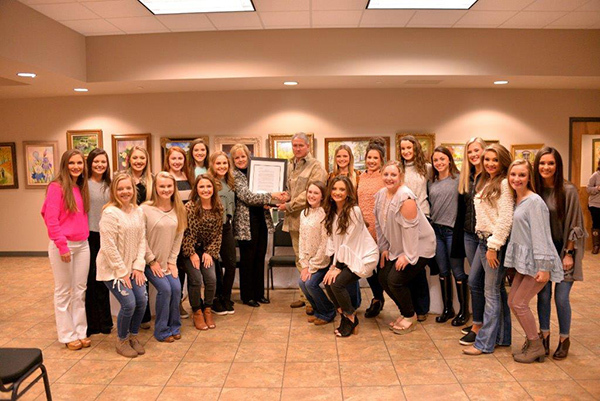 The 2018-2019 Varsity Cheerleaders, under the direction of Cheer Coach Sandra Seals, have won numerous competitions and championships including recognition as the 2019 National High School Cheerleading Championship Large Varsity Non-Tumbling Champions, NHSCC World School Large Varsity Non-Tumbling Champions, and 2019 NHSCC World School Nations Ranking Large Varsity - Super Large Varsity Non-Tumbling Champions. Meg Bowen, Olivia Burleson, Sara Beth Cotton, Jacie Cummings, Anna Kate Gruwell, Kati Rose Hardin, Julia Taylor, Savannah Williamson, Memory Clark, Macy Cummings, Melody Harrison, Halie Lowry, Jaken Terrell, MaKenna Tucker, Lexi Welch, Abi Webb, Addie Birmingham, Brooklyn Bozeman, Bailey Dodd, Presley Loring, Anna-Grace Sims, Isabella Taylor and Olivia Webster. Varsity Cheerleader Cheer Coach Sandra Seals was also honored as the NFHS Coaches Association National Coach of the Year, AHSAA Spirit Coach of the year, and NFHS Section III Coach of the Year. Coach Seals was also presented with a Resolution recognizing her accomplishments. Wren Williamson has been chosen for the Alabama Park and Recreation Association District 1 Community Service Award. 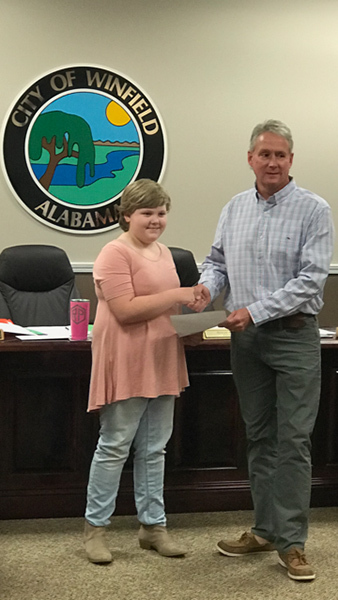 Ms. Williamson is shown at a recent Winfield City Coucil meeting receiving congratulations from Winfield Mayor, Randy Price. Mayor Price also shared a resolution that was adopted by the Council in honor of Ms. Williamson's selection. 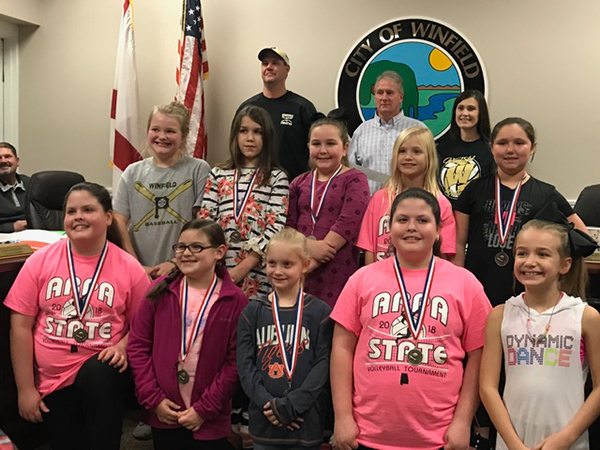 The 2018-2019 Winfield Park and Recreation Girl's Vollyball team was recognized recently at a Winfield City Council Meeting for their Alabama Park and Recreation State Volleyball Championship. The team is coached by Head Coach Trey Griffin and Assistant Coach Shae Griffin. Members of the team are Layla Benton, Molly Kate Elkins, Jayci Griffin, Kylah May, Makayla May, Lexi Tittle, Layleigh Morrison, Rylyn O'Dell, Nevaeh Pate, Ivey Sims, Amelia Thornton, and Alyssa Travis. 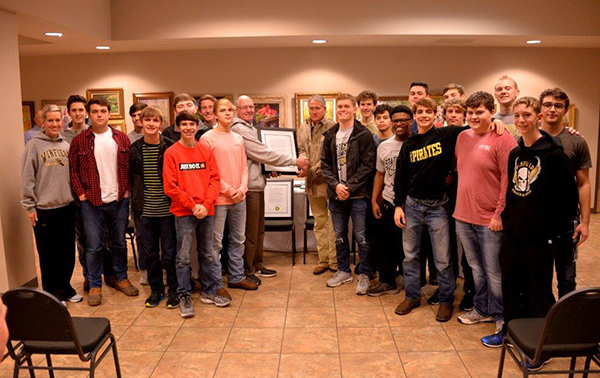 A Resolution honoring the team was presented by Winfield Mayor, Randy Price. 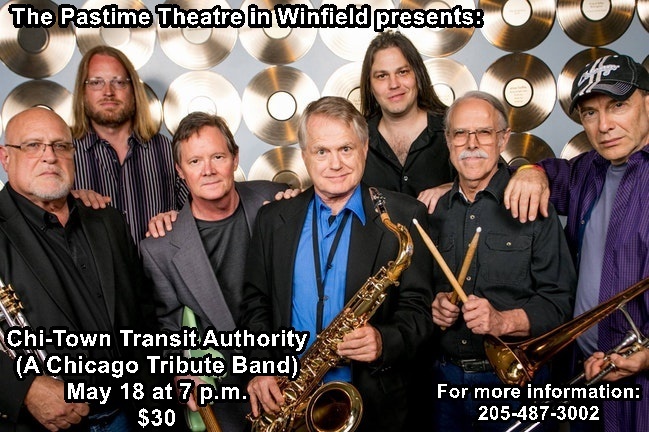 The Pastime Theatre in Winfield, Alabama is excited to announce their 2019 concert series. The 2019 series will open March 9th with Jason Petty’s “Hank & My Honky Tonk Heroes.” There’s only one Hank William’s and Jason Petty portrays him best. He starred as Hank in New York City’s hit Off Broadway musical, “ Lost Highway”, as well as at Nashville’s world famous Ryman Auditorium. This show is not just a Hank Williams tribute, Jason Petty will tell the story of Hank Williams, his rise to stardom and his fall. Jason will perform many Hank Williams’ hits, such as “I’m So Lonesome I Could Cry”, “Your Cheating Heart”, “Lovesick Blues”, “Cold, Cold Heart” and many more. Backed by an authentic four-piece band, he will pay tribute to stars that influenced Hank and his music and the stars that were later influenced by Hank Williams. On April 13th the Pastime Theatre will welcome blues legend Tinsley Ellis. Tinsley Ellis, southern blues/rock guitar wizard, vocalist and songwriter, is a bona fide worldwide guitar hero. He has performed in all 50 states as well as in Canada, Western and Eastern Europe, Australia and South America, earning legions of fans with his guitar virtuosity, passionate vocals and memorable original songs. Whether playing deep, slow blues or up temp rockers, Ellis rides a gorgeously fat, pure tone. He has shared the stage with Stevie Ray Vaughn, The Allman Brothers, The Tedeschi Trucks Band, Widespread Panic and many others. This will be a show that any blues fan will enjoy. 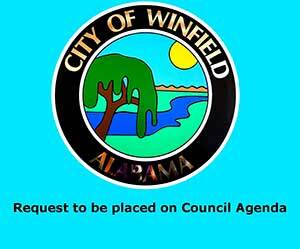 The City of Winfield offers automatic bank draft service for payment of garbage collection fees. To sign up for this service, download the Debit Authorization Form below, fill it out and return it to City Hall. Your garbage collection fees will be automatically deducted from your bank account each month. The City of Winfield has always taken pride in having one of the finest school systems in the state. We're committed to providing a first-class education to our students. This commitment is the reason many people choose to live in Winfield. 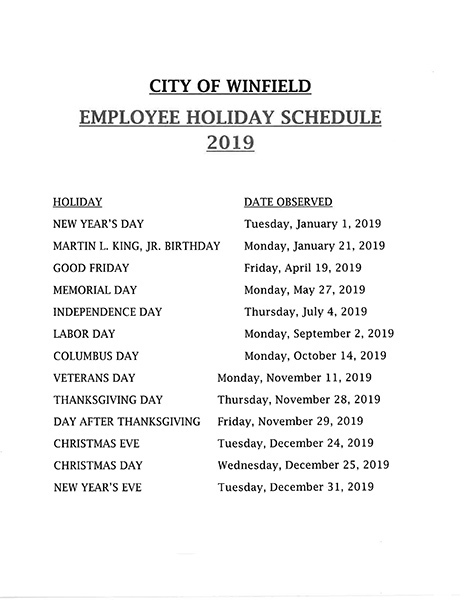 Please browse the site and see the many reasons we believe Winfield is one of the best places to live in the entire USA! If we can be of assistance to you, please click the contact link at the top of this page. We'll be glad to help you!